More fantastic wooden food from BigJigs! 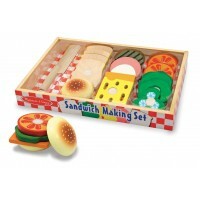 This brilliant play pizza is a perfect toy for children who love pizza and also enjoy pretending to cook in the kitchen. 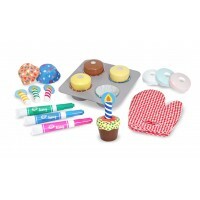 This clever toy food set is so much fun that children won’t even notice how much they are learning as they play along at making, cooking and then serving up pizza. The pizza comes with a rich variety of toppings such as vegetables and meat pieces to attach to each slice and even has a (safe) pizza cutter for slicing up this tasty treat into 6 slices. 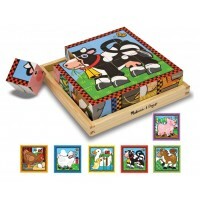 The set also includes a wooden serving tray that includes fractions to help develop a budding chef's numeracy skills! This fun wooden toy also helps children with hand/eye coordination, counting and can also help grownups teach children how good it is to share!